One of the hotbeds for initial coin offerings (ICOs), Lithuania aims high with its blockchain adoption related ambitions, also. The country is considering using blockchain for its public services, while ‘traditional companies’ are increasingly looking into this nascent technology, according to two sources in the public and private sectors. "We believe that blockchain adoption brings us a great opportunity to run digital transformation for the governmental sector. As for the next steps, we are planning to review a pipeline of governmental projects for the public services and see if blockchain can bring additional value here. I think this is going to be an exciting exercise," Elijus Čivilis, Vice-Minister of Economy, said. According to him, the government and the Bank of Lithuania are closely collaborating with the local and global blockchain communities in attempt to exploit benefits of the technology and provide confidence and clarity to the startup community. Lithuania was among the first EU countries that has developed the detailed guidelines for ICOs (published in June). 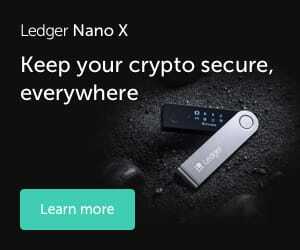 In January, the country together with technology giants joined Hyperledger, an open source collaborative effort created to advance cross-industry blockchain technologies. Also, the government has established an internal blockchain SME network and runs various pilot projects, such as a blockchain-based system that would help establishing companies in the EU. Additionally, the central bank of the country is also developing blockchain related projects. “The Bank of Lithuania is working on the LBChain sandbox that aims to create platform as a service for fintech companies looking to experiment with the blockchain technology. The bank is developing the platform in partnership with IBM, Inntec, Deloitte, and Tieto. LBChain is estimated to go live in the end of 2019 - beginning of 2020,” Jekaterina Govina, adviser to the board member at the Bank of Lithuania, told Cryptonews.com. According to her, the bank also aims to issue one-of-a-kind digital collector coin in approximately six months, is exploring potential of the ICOs model and together with market players aims to remove regulatory and technological obstacles for ICOs. 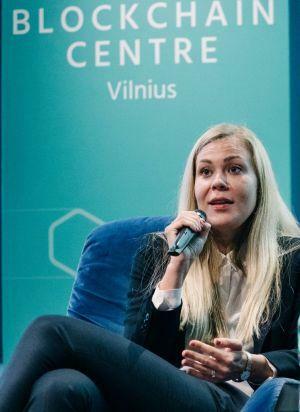 Meanwhile, Eglė Nemeikštytė, CEO of the Blockchain Centre Vilnius, launched in January this year, added that after becoming one of the top countries by raised capital during ICOs, Lithuania is witnessing a "notable shift toward projects employing the STO (Security Token Offering) as opposed to the trend we saw in 2017." Also, according to the CEO, more and more 'traditional companies' from the energy and transportation sectors are seeking to learn more about the blockchain technology and how it could be employed to increase efficiency and profitability in their processes. The centre has held over 50 educational and networking events and taken part in discussions around the globe. The CEO noted that the centre attracted sponsorship from around the world and can boast British, Canadian, Singaporean, Polish and Lithuanian startups as their residents. "Lithuania is showing itself as a country of service providers, miners, developers and blockchain companies as opposed to a country of traders and crypto users. When we look at the difference in crypto usage in Asian markets, the opposite is almost true, this provides us with vast opportunities and scope for collaboration and investment," Nemeikštytė said, adding that companies and partners such as Lympo, a sports and health data monetization company, and Debitum Network, a platform that gives users possibility to deposit, invest and withdraw in both fiat and crypto, have all delivered early stage beta’s or complete projects on time. A recent survey by Luno, a Bitcoin company boasting two million global accounts, has shown that around 82% of Lithuania’s population over 18 has heard about Bitcoin, while 3.8% of those own cryptocurrency. 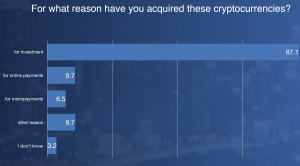 Crypto awareness in the country is spreading, however, as 29.5% of those who know about the nascent technology would be willing to use it if it wasn’t so difficult. 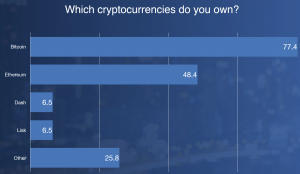 "The official position of the government or financial institutions plays a major role in forming or maintaining confidence in digital currencies. 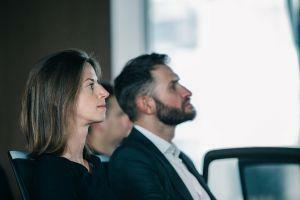 Also, price stability and lower risks would increase confidence in digital currencies," said Magdalena Golebiewska, head of Eastern Europe region at Luno, who's also a speaker at Switch! conference, the largest modern technology and entrepreneurship event in the Baltic region. To what extent do you agree with these statements? 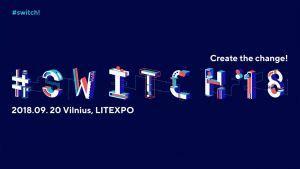 You can meet Elijus Čivilis, Jekaterina Govina, Eglė Nemeikštytė and many other international experts this Thursday at the Switch! conference in Vilnius, Lithuania. Disclaimer: Among advisors of Lympo is Antanas Guoga, Member of European Parliament, a serial entrepreneur, investor, and backer of Cryptonews.com. He's also the founder of the Blockchain Centre Vilnius. Cryptonews.com is among the residents of the centre.